In researching this “something so much better,” I could find only a mismatched set of random ideas such as buying health insurance across state lines, establishing Medicaid block grants for each state to administer, allowing Americans to import medications, eliminating the individual mandate but still preventing insurance companies from excluding patients based on pre-existing conditions, and expanding tax exemptions for corporate health insurance to individuals. Contrast this hodgepodge of convoluted, disconnected ideas from an individual who apparently was caught off guard when asked during this year’s primary campaign about health care to the years of experience Secretary Clinton has in promoting and planning successful health reform. She did it in Arkansas when former President Bill Clinton was governor; she did it when she passed the Children’s Health Insurance Program in 1994, and she did it when she was a senator from New York. She watched as the Affordable Care Act was passed when she was a member of President Obama’s Cabinet. Her health care reform efforts, past and present, certify her convictions. Yes, the ACA definitely needs to be tweaked. Medicare needed to be tweaked. Medicaid needed to be tweaked. Both Medicare and Medicaid resulted from a bill President Lyndon Johnson signed into law in 1968. Medicare and Medicaid have been tweaked and will continue to be tweaked and evolve in the coming years. I fully believe that if anyone can successfully tweak the ACA, I trust Secretary Clinton to do it. I trust Secretary Clinton to tweak and refine the ACA in the years to come. I simply would not trust Donald Trump to eliminate the ACA and create a new, replacement health care system that would continue the coverage of the more than 20 million Americans who have enrolled since October 1, 2013, when the first open enrollment began for the ACA, commonly referred to as Obamacare. Under a President Hillary Clinton administration, I think we can discuss solid ideas such as the expansion of Medicare to individuals older than 55, the importation of prescription medications, allowing Medicare to negotiate medication prices with pharmaceutical companies, and immigration reform which would allow health care coverage for undocumented workers. 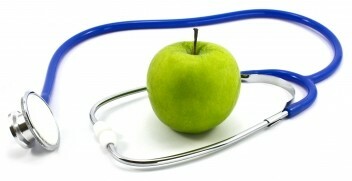 Let’s await the election results in November and see which way health reform goes. Whatever the outcome, it will make a “Yuge” difference for many of us.